MP4 is a very common video format in our daily life. MP4 files are commonly used for uploading videos to the Internet and for storing and viewing on personal media devices. MP3 is our target audio format, it must be a useful and popular audio format, yes, like MP4, MP3 is also can be seen everywhere, its audio quality is good and its size is proper, these advantages make it widely used in field of music playing. Of cause there will be more advantages that you will feel when you using MP3. If you have to convert MP4 to MP3, or you want to convert the MPEG4 to MP3 audio for music enjoyment only! Generally, you turn to MP4 to MP3 converter software for media conversion. And, there are indeed a lot if you search in Google. 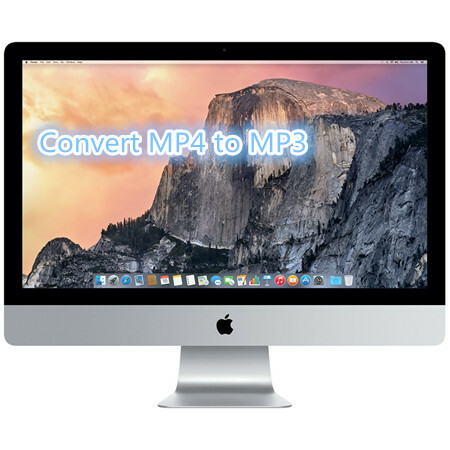 Ok, now we show you 3 tools to convert MP4 to MP3 on Mac easily. Check them out. Step 1: Open the VLC and select “Media”. Click on the convert/save. Step 2: On the next window that appears, select “add” and choose the video file (MP4) to be converted. Step 3: Next, click down arrow on the “Convert/Save” then click “Convert”. Step 4: On the next window that appears, make sure the “Convert” button is selected. Proceed to choose the type of audio file you wish to create. In our case its MP3 file we are converting to. Step 5: Choose an output destination, and then press “Start”. The VLC will then commence converting. First of all, you have to install FFmpeg in your PC. That’s it. Your file has now been converted from MP4 to MP3 in Ubuntu (Linux Operating System). Actually, how to convert MP4 to MP3 not only means converting MP4 to MP3 to get MP3, but also means how to choose a good MP4 to MP3 converter to get MP3. If you want to convert your MP4 files to MP3 with high quality, you can also use Pavtube Video Converter for Mac, which is a powerful video converting software that converts video or audio files into any other high quality file type that will suit Apple devices. Compatibility with various formats – you can convert videos, audio files with Pavtube Video Converter for Mac; more than 250 formats. Maintain quality – you will always be sure that you video will maintain its quality when you use Pavtube Video Converter for Mac. Editing made easy – you can now edit your video without using external editors thanks to the inbuilt video editor; add special effects, watermarks and subtitles to your video with ease. Perfect for Beginners: Best Media Solution for beginners for making video conversions easy. It has a perfect compatibility with macOS Sierra, Mac OS X 10.11 El Capitan, 10.10 Yosemite, 10.9 Mavericks, 10.8, 10.7, 10.6, 10.5. To add videos, drag and drop video files to the program. Or you can select “File”, choose “Add Video”. On the bottom format tray, select the video format. In our case, we are converting MP4 to MP3. 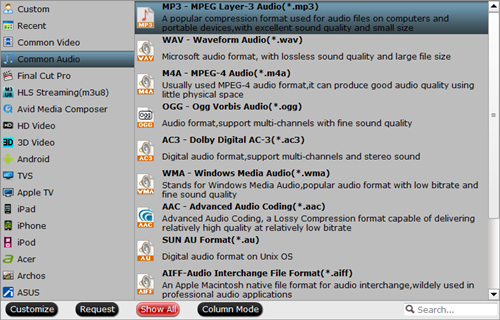 Select the MP3 format from “Common Audio”. Click on “Convert” to start the MP4 to MP3 conversion process. How to Compress MP3 on Mac OS X El Capitan?